Minnesota has an interesting mixture of civic participation, wealth, and quality of life. In addition to the positive social aspects of the state, it’s also known as the “Land of 10,000 Lakes” due to its abundance of scenic beauty and opportunities for residents to interact with nature. While these factors are all noteworthy and admirable, the state doesn’t hold any special status when it comes to betting on sports. The act is illegal by decree of both state and federal laws, which means anyone who wants to wager face-to-face with a fellow human being must risk a fine and possible imprisonment in order to do so. 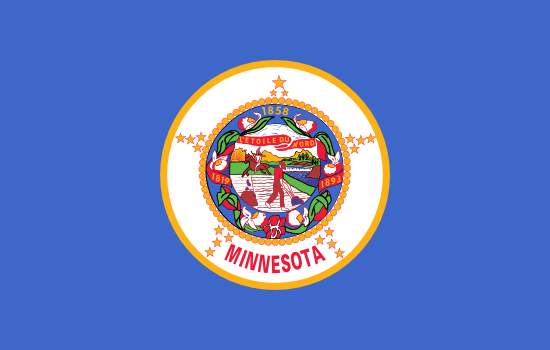 In this article, we’ll provide an overview of the sports betting scene in Minnesota. The local sports teams are covered in detail, from professional franchises and college squads to semi-pro organizations. We’ll also look at the legality of online gambling in the state, just in case you decide to launch a career as a virtual handicapper. Keep in mind, however, that I am not an attorney. While this information is meant to be helpful, it should not be considered a substitute for the advice of a lawyer. Before you engage in any betting activity that might go against state or federal laws, be sure to sit down with a professional and learn about the pros and cons of such behavior. There are currently no laws on the books that prohibit residents of Minnesota from betting on sports via the Internet. While the presence of such restrictions probably wouldn’t make a difference to most bettors anyway, it’s always nice when you can wager without having to feel like a common criminal. The biggest impediment to this type of sports betting is finding a site that will accept you as a customer. After the Unlawful Internet Gambling Enforcement Act passed in 2006, a number of leading online casinos and sportsbooks voluntarily withdrew from the U.S. market to avoid potential legal problems. This proved to be a wise act, as some of those who persisted were met with arrests and the seizure of their websites. Despite this fact, there are still online operations willing to take on customers from the United States. Before you put money into an account, however, I suggest spending a respectable amount of time doing some homework. Make sure the bookmaker has a reputation for offering decent odds and issuing fast payouts. If they don’t, then it’s a good idea to look elsewhere. Minnesota is only the 21st most populated state in America, but it boasts a greater number of sports teams than most people would expect. Perhaps it’s state pride, or perhaps it’s the cold weather, but Minnesotans love to turn out in droves and support their local teams. If you’re a gambler looking to scare up some betting action, this passion can certainly be used to your advantage. While the teams listed above are certainly the most famous, there are plenty of other athletic squads sprinkled throughout the state. These pro and semi-pro clubs may not receive any love from bookies, but you should still be able to place bets with local supporters of these teams. The state is also active in the world of motorsports. Raceway Park and Elko Speedway both hold NASCAR sanctioned events each year, while the Brainerd International Raceway is home to a mixture of kart racing, drag racing, and road racing. Gamblers often derive a great deal of pleasure from watching and betting on college sports, especially games that take place in Division I of the NCAA. Both local and international bookmakers are likely to offer lines on these events, especially if they involve mainstream sports such as football, basketball, and baseball. Unfortunately, the state of Minnesota only has one university that fully competes in Division I. Despite this limitation, bettors should be able to wager on a number of athletic competitions throughout the year. •	University of Minnesota Twin Cities – The Minnesota Golden Gophers are part of the Big 10 Conference, although their hockey team competes in the Western Collegiate Hockey Association. In addition to 178 conference titles, the Gophers have also captured national titles in the following sports: wrestling, men’s track & field, men’s golf, men’s basketball, baseball, women’s hockey, football, and men’ hockey. If you’re content to bypass the bookies and make wagers with friends and co-workers, you might also be able to scare up some action with Division II teams from Minnesota. While these schools are significantly smaller, that doesn’t mean that their fans are any less rabid. Minnesota doesn’t offer live sports betting like Nevada, but they’re not any worse off than most U.S. states. There are a decent number of local sports to choose from, and this should allow gamblers to place plenty of off-the-book wagers with friends and work colleagues. The presence of online gaming is also a major boon, especially when you consider that it’s not prohibited by any local laws.